Increasing concerns about global warming and environmental degradation have forced many an individual to start adopting a healthier and greener lifestyle. As such, the demand for eco-friendly gadgets has risen drastically over the past few years. Here are 10 such green gadgets that practice what they preach when it comes to doing their work efficiently while having a very low impact on the environment in the process. This 10 watt bulb is a great eco-friendly substitute for the incandescent 60 watt bulb that emits heat and poisonous chemicals when switched on. 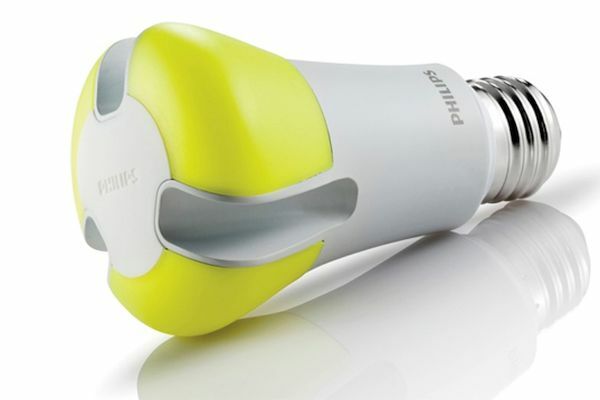 The LED bulb offers the same brightness as the former at reduced costs. A single bulb can offer over 30000 hours of light which amounts to an impressive lifespan of over 20 years (provided you use it four hours a day). The biggest highlight of the Econova LED TV from Philips is that it is made entirely out of recyclable materials. 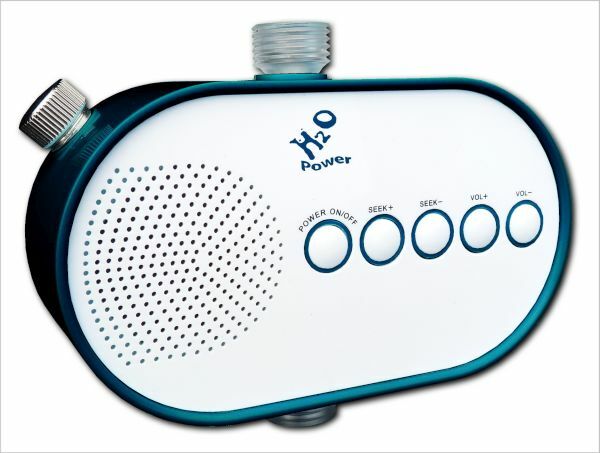 When switched off, it reduces its own power consumption to 0 watts even when plugged in to the main circuit board. The solar powered boat is a great eco-friendly add on that would minimize the need to replace batteries on a constant basis. Why throw out those old alkaline batteries if you can recharge them again? 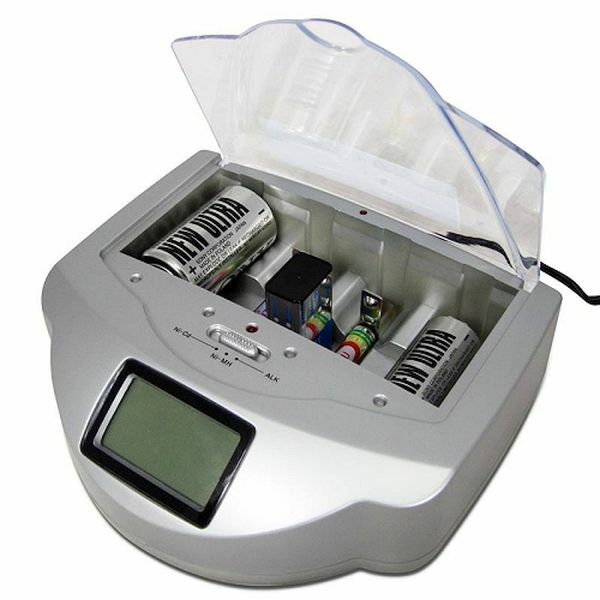 The Battery Wizard would recharge alkaline batteries without causing them to leak any chemicals in the process. With the Battery Wizard, you can recharge and reuse batteries for over 10 times, therefore reducing the number of batteries that end up in landfills every year. How about absorbing and storing energy while on the go? The Solar Light Cap will help you do just that. 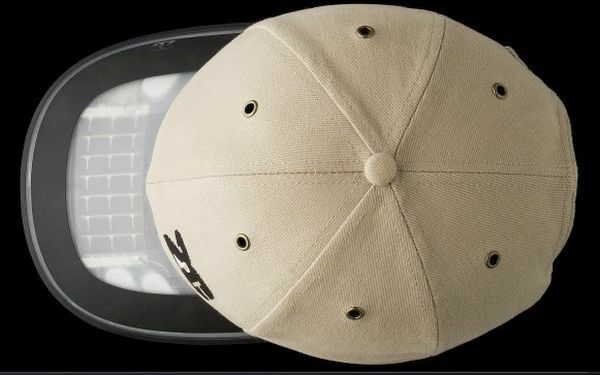 The cap’s visor contains a solar panel that starts charging the moment you step out of your home. 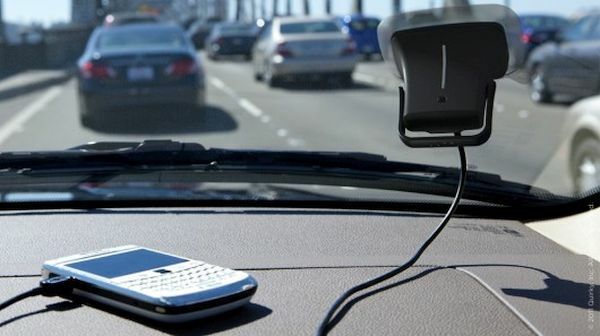 It charges the entire day only to use the power generated to power two lights located on the visor. With full charge, these lights can shine for at least 5 hours or so. Find it hard to carry a solar panel wherever you move? Then consider opting for the ray solar powered suction charger. With this device, all you need to is a clear glass window. Simply stick the charger on the window and hook it to your gadgets to charge them with the power the charger generates by absorbing solar power. This radical keyboard is made of 92% bamboo and is entirely recyclable. It is also portable and renewable. 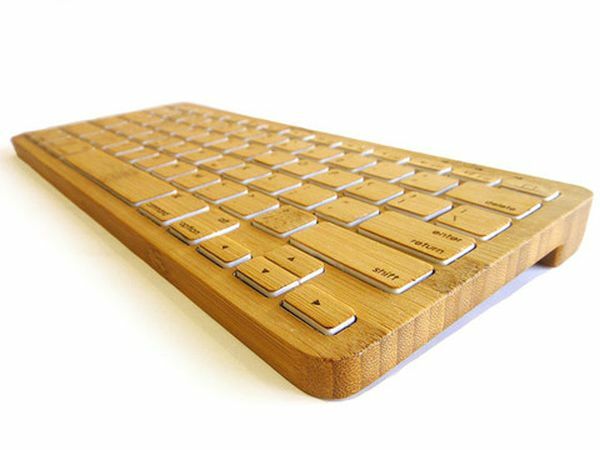 Complete with Bluetooth facilities, the iZen Bamboo keyboard also comes with rechargeable batteries for extended use. This eco-friendly gadget will work great for bathroom singers. All you need to do is attach it to the shower head so that it transforms the kinetic energy of the water’s movement into electrical energy that can be used to recharge its own battery. This, in turn, will switch on the radio, thus helping you enjoy your favorite tracks while you shower. The bathroom is one of those places in the house where we tend to waste a lot of water. Water Pebble can change all that though. 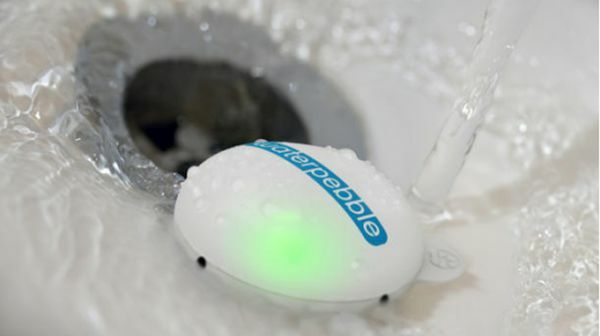 When placed near the shower plug, Water Pebble will start measuring how much water flows into the drain while you shower. By comparing how much water you use for subsequent showers, it keeps a check on water consumption and starts flashing a red light when you start using too much water. Going on a camping trip and worry about your gadgets running out of power? The solar powered tent would ensure that never happens. 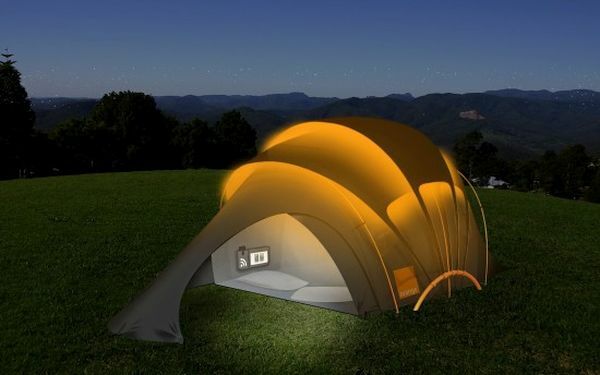 The tent comes with a solar panel and interior LEDs. The solar panels are located on the roof of the can easily use just 6 hours of direct sunlight to provide light within the tent for 4 hours at night. The generated power can also be used to recharge your gadgets. Fuel powered lawn mowers are not at all eco-friendly. If you want to get the job done fast without jumping down and doing it yourself, consider investing in an electric lawn mower called RoboMower RL850T. The mower works in a very simple mechanism. It moves along a wire you lay around the lawn’s outer edges. 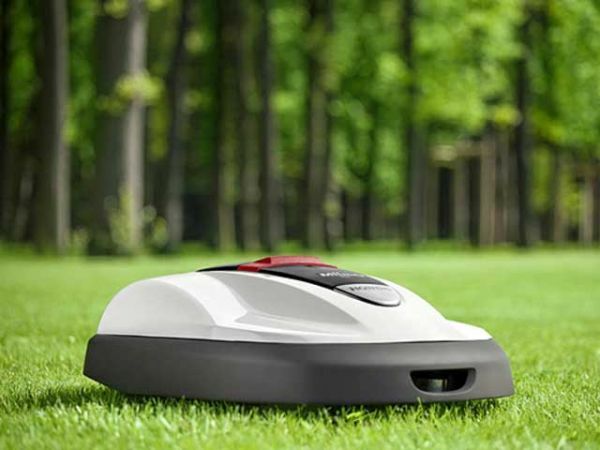 The mower stays within the designated area with the help of built in sensors. It can also detect obstacles like rocks and trees, thus cutting your grass efficiently without using too much power in the process. 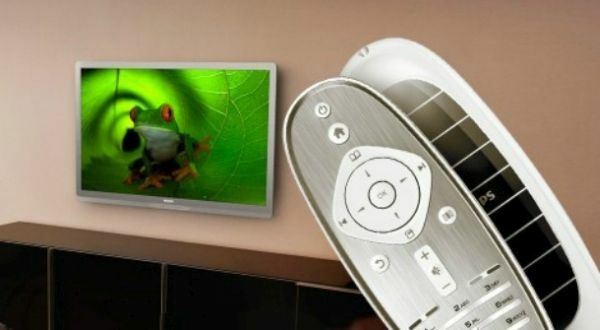 The demand for eco-friendly gadgets has increased tremendously over the past few years. A lot of such gadgets are now helping a lot of individuals enjoy a healthier and happier lifestyle with minimal carbon footprint.